I was given a membership to the Pacific Railroad Society after I was the guest speaker at their Winter Banquet back in December. Jim Novell, a good friend, fellow Orange County Railroad Historical Society Member and PRS Member, decided that he should show me what the PRS owns. We picked April 8th for that visit and soon enough that morning finally arrived. 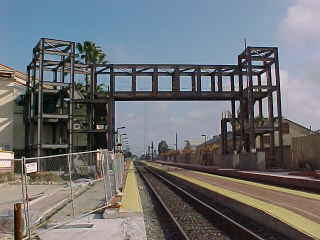 I drove down to Santa Ana and before my Surfliner came in, I checked out the construction on our new east platforms at Santa Ana. Those new shelters will keep the sun off of you while you are waiting for a train but when it rains and the wind blows they will be useless. 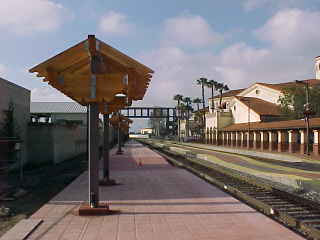 The new bridge and east platforms at the south end of the Santa Ana Station. Surfliner 565 came into Santa Ana right on time and we proceeded north towards Fullerton. At Fullerton Jct, we sat and waited as Surfliner 566 first went by and then an eleven engine BNSF stack train went west with one lone CN engine in the mix. Jim was waiting on the platform and soon we were heading north up the 57 Freeway to Arrow Highway which when you go straight at that exit will take you onto Bonita Street. 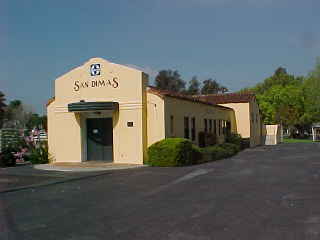 After you cross the old Santa Fe Second District the San Dimas Station is on your right. We parked in the lot and looked around as the museum would not be open until 10 AM. 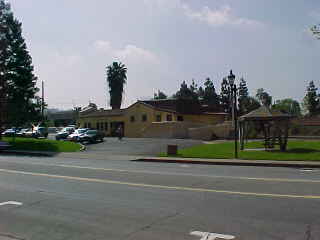 A view from the east of the San Dimas Depot. The view from the southwest showing the depot and the old Santa Fe Second District tracks. 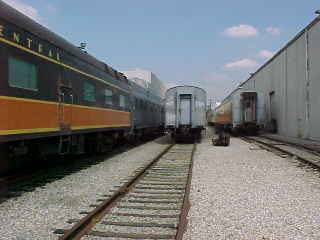 Trains like the Super Chief, El Capitan and California Limited passed the depot during the Santa Fe Years. 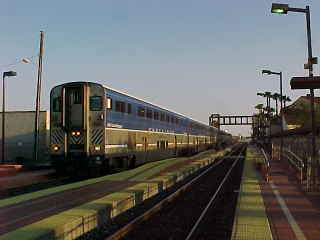 During Amtrak it was first the Super Chief, then the Southwest Limited before it became the Southwest Chief. 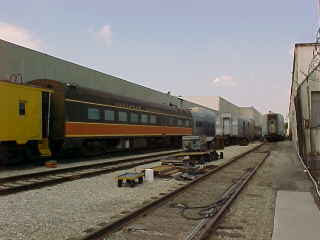 Add in the Desert Wind and along with the Southwest Chief were the Amtrak Trains I rode by the depot on. Today other than Metrolink Rose Parade Train there are no regular passenger trains that travel by this once proud station. A view from the northwest area in the parking lot. 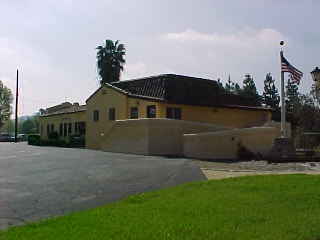 The view from across Bonita Street. 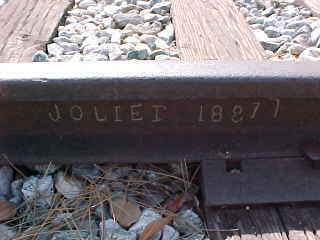 On display was a piece of rail made in Joliet in 1887. 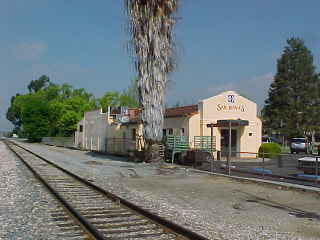 The Train Shop, an excellent all gauge modal railroad shop is located across the street from the San Dimas Depot. Jim and I visited this unique store before the PRS Museum opened. 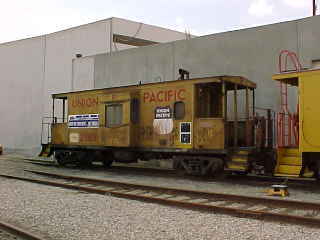 PRS operates the Pacific Railroad Museum in the former Atchison, Topeka & Santa Fe depot in San Dimas, California. Their goal is to restore the depot to represent a working railroad station. Artifacts and exhibits on various aspects of railroading are on display there. 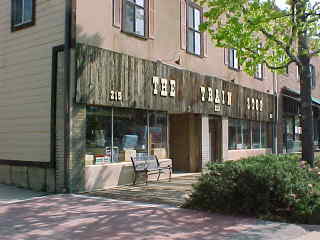 The depot also houses our extensive railroad research library containing books, documents, maps and photographs collected since the 1930s. This facility is open to the public and staffed by PRS volunteers. We were given a complete tour and we left with a better knowledge of what the PRS does here. We drove back down the 57 Freeway to Interstate 10 with its ridiculous traffic to the 710 Freeway to East Los Angeles exiting at Olympic Blvd. From there we made our way to the PRS Yard. We arrived at the PRS Yard and walked inside the gate. There I was introduced and Will Walters offered to give a quick tour of their railroad equipment. The first view shows the switch engine and National Forum. 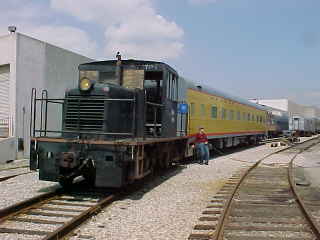 Locomotive donated by US Marine Corps., El Toro to Pacific Railroad Society and delivered on March 16, 1988. Built in 1941 by General Electric serial number 15060. Rebuilt at Hill Air Force Base in Ogden, Utah in 1953. 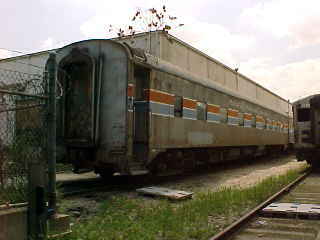 Ex Great Northern 1330 Dome Car. Santa Fe RDC-1 DC-191 from the south end. 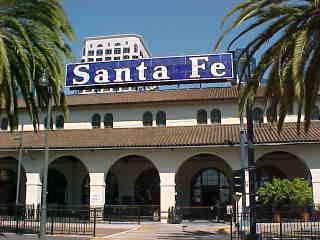 Santa Fe RDC-1 DC-191 lettering board and number board is visible today. 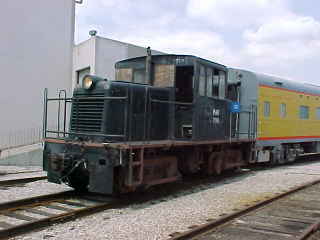 Santa Fe RDC-1 DC-191 on the north end. Timothy B. Blackstone. By late 1947, the sleeper cars were still just a drawing. 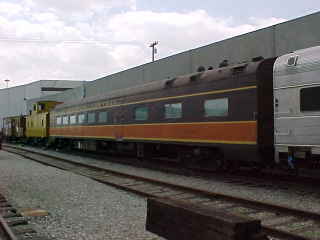 In addition to a shortage of materials, the inability of the Gulf, Mobile, and Ohio Railroad to make decisions on a variety of design options delayed the delivery of the sleeping cars until 1950. 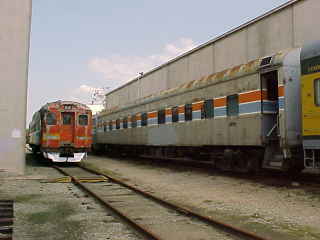 Originally, the four sleeping cars were supposed to be 22 or 24 roomette cars. In June 1947, the floor plan was changed to an 8-4-3-1 from the roomette configuration. 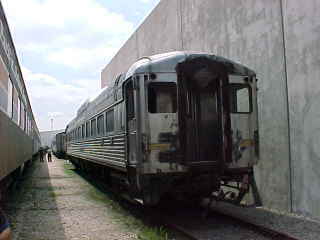 This changed would allow better utilization of the cars by allowing an overnight trip to St. Louis from Chicago and back on the Midnight Special after a trip from Mobile to Chicago had been completed via the Gulf Coast Rebel/Abraham Lincoln trains. The Imperial Bird. In 1942, the Pullman Company acquired 31 sleeping cars containing 4 double bedrooms, 4 compartments, and 2 drawing rooms for use on the Union Pacific, Chicago and North Western, Southern Pacific, Rock Island, and Illinois Central. One of those built for the Union Pacific was the Imperial Bird. The Cajon Pass with PRS Lettering and paint scheme. 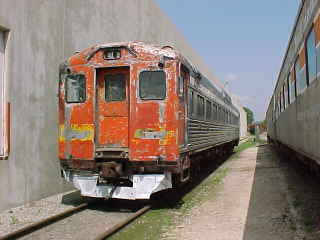 The car was purchased from the Union Pacific in 1972. 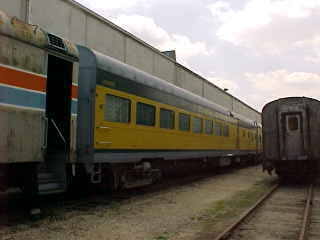 In addition to the lounge section which seats 38, this car has a snack bar and three dormitory rooms which sleep a total of 14. In 1968 this car was reassigned to the City of Kansas City (actually the City of St. Louis with a name change due to dropping the Kansas City-St. Louis segment. 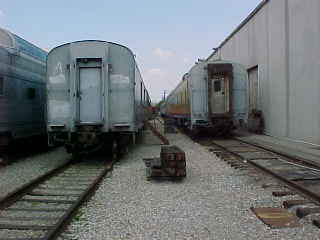 View of more of the PRS owned cars. Caboose 25042, ex Union Pacific caboose built in 1942, was one of the first with steel exterior. 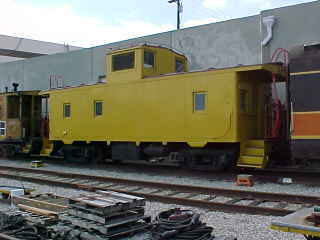 An ex Union Pacific Ca-11 Caboose 25880. 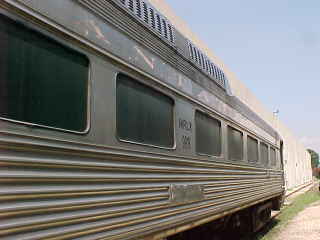 Illinois Central 48 Seat Diner "Shadrach Bond". We thanked everyone including Will for the great tour. The plan was for Jim to drive me back to Fullerton to catch Surfliner 774 there. Traffic then came into play on Interstate 5 which made dropping me off in Fullerton to catch 774 impossible but taking me to Santa Ana would buy us ten minutes easily. 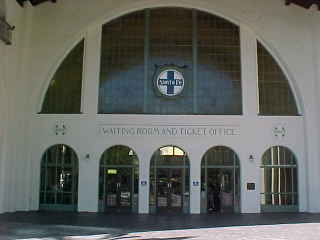 Jim dropped me off with plenty of time to spare and I waited for Surfliner 774 to take me south to San Diego. 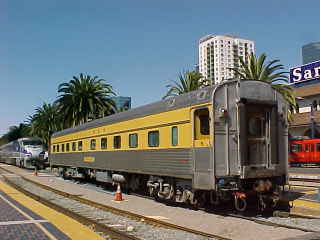 I relaxed on the lower level of the cab car and we arrived into San Diego about six minutes early. I detrained for some pictures and then would sit out in the sun in the patio area south of the station. 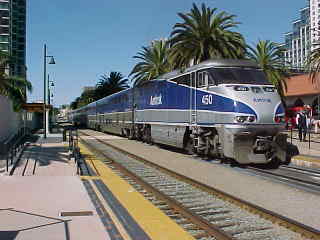 Surfliner 774 after arriving in San Diego. The Pacific Sands was laying over for the weekend. 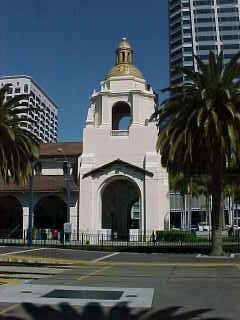 Santa Fe is alive and well on the San Diego Station building. I boarded Surfliner 785 and we left San Diego on time. When we tried to leave Old Town, a weekend stop for the train, the engine would not work. A San Diego mechanic came up to Old Town on Coaster 647 to assist in fixing our problem. A new cable from the cab car back to the engine was needed so he fixed it on the spot. 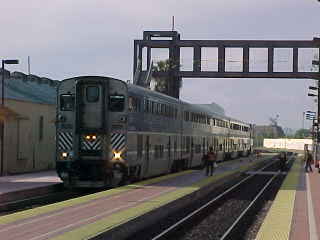 Surfliner 578 came flying through Old Town before we left and we headed north 42 minutes late. At Solana Beach we pulled in just as Surfliner 580 was leaving. We met Surfliner 582 at CP Songs and passed 784 on double track just south of Irvine. Surfliner 785 has returned me to Santa Ana thirty six minutes late. I drove home one happy man after finally getting to see the San Dimas Station with the PRS Museum and Library, the PRS passenger car collection in East Los Angles and as always my great rides on Amtrak.